The fact that you have invited me to write my thoughts on five years after the war, helps me to join at least the few progressive voices, who do not sing with the majority or swim with the stream, but genuinely concerned about promoting a peaceful coexistence of all the peoples and religions within the island. Though the Government and their media doing their utmost to portray me and my engagement during the last two decades as pro-terrorist and pro-separatist, I wish to say clearly and with utmost sincerity that the truth is far from it. Heaps of lies have been fabricated from internet-gossips and written about me, tarnishing my identity not only as a supporter of terrorism and separatism,but also as a mad Christian comparing LTTE leader Prabaharan to Jesus Christ . I am open, transparent and living not in hiding. Anyone is welcome to see the reality about my life and activities. Of course, I am consciously guarding and acting on my God-given identity as a born Tamil and a baptized Christian, with Sri Lanka and all its peoples as my home country and co-citizens. I believe and struggle for my conviction that Sri Lanka is a multiethnic and multireligious country, with equal rights for all. In various stages of my life, witnessing what was going on around me, I have spoken and written my views as a Tamil catholic priest explaing the agonies and aspirations of my people and wishing peaceful coexistence for all. I have criticised the government and their politicians. But never have I spoke or written anything against the Sinhala people or Buddhism. But unfortunately the Government and their media, instead of using me as a partner for dialogue or as a bridge-builder for peace, have sought to tarnish my image and proscribe me as supporter of terrorism and separatism. Their writings betray their evil intentions against dialogue and peace. Hence I repeat my convictions hoping to win over them. 1. It is clearly the unwillingness of the majority Sinhalese to understand the demands of the Tamils for equality and human rights that has pushed the Tamils to make a cry for survival from federalism to separatism. 2. Similarly it was the state-terrorism, unspoken of in the South, but practiced in the Tamil areas up to 1977, by the misinformed sinhala soldiers that pushed the Tamil youth to counter-terrorism. Very often the majority and their Governments speak of events after the birth of the LTTE and do not ask how the LTTE came intoexistence. 3. Only when the non-violent and democratic protests of the Tamils turned into violent opposition to state-terrorism, that the Government portraying Tamil militancy as mere Tamil terrorism, turned to the international community against the Tamils. With international finance and weapons, the Government forces wiped off “Tamil terrorism” and established their historic victory in May 2009. Hence international support was sought not for resolving the long drawn out ethnic conflict, but for fighting a terrorist-war, especially initiated after 11thSept. by the Bush-regime. 4. Terrorism was officially wiped off, but the causes of terrorism, remains and the present Government of Sri Lanka, without any Tamil militant opposition,is intensifying and escalating its state-terrorism once again in the North, thus returning to the earlier days of conflict in the 60s and 70s. 5. And now the war has officially ended. But since the war was not only against the LTE, but more against the Tamils, it continues as a new war of occupation and eradication against the Tamils. It is going on without LTTE opposition,in a more authoritarian way. The escalation of military presence and grip of the North through permanent camps and settlements, arrogant interference into aspects of civil life and against the elected Provincial Council, state-aided sinhala colonisation and Buddhistisation of the North by grabbing lands at will from the civilians – all these to eradicate the roots of Tamil existence in the traditional homelands of Tamils. 6. The international community mistakenly thought that once the tamil-terrorism was wiped out, a political solution was possible and easy. LTTE was projected as the only obstacle to peace and political solution. But once the war was over, and the donors especially of the western world expected the Government to make efforts for a political solution, the Government rejected these old friends in favour of new friends like China,Russia,Pakistan and Iraq. The demands of the western world led by the US through UN Resolution was humiliated and defeated with the help of those new friends and labelling their call as neo-colonialism to get african and asian countries for support. 7. As “donors and benefactors of the war against terror” the western world had a right to ask for accountability of the crimes committed against innocent people. Hence the latest Geneva Resolution. The very Government that accepted aid and weapons with both hands now refuses to be accountable for the crimes committed. The new phase of internationalization of the conflict changed from military collaboration with SLG to political confrontation against the SLG. 8. The Geneva resolutions took much effort from the UN, the UNHCR and the lobbying of the diaspora Tamils, to end up as a limited success in March 2014. But that has pushed the Government to a shameless position of refusing to cooperate with the very pre-Mullivaikal donors of finance and weapons as well as with the UNHRC. 9. Now the Government is resorting to a bogus cry of re-emerging tiger-terrorism to justify their military escalation in the Tamil areas as well as starting a new war against the Tamil diaspora. The intention is to eradicate the roots of Tamil existence in the island as well as to frighten and silence the Tamil diaspora.! 10. Opening of a new war-front against the diaspora Tamils as supporters of terrorism or resurgence of LTTE-terrorism, is a clear reaction of anger against the diaspora Tamils as influencing the last Geneva Resolution. It is also an attempt by the Government to silence or frighten/weaken the diaspora in giving evidence against the crimes of the Government. But in these moves, it is making potential helpers for building a united and peaceful Sri lanka into foes. 11. Thirty years of brutal war, in which not only youths but also civilians from both sides perished, has not taught us a true and genuine way to resolve the conflict, reconcile the peoples and rebuild a new nation of peaceful coexistence of all peoples. Those who caused the conflict, gave birth to LTTE and received international help to wipe out terrorism have a grater obligation to save the country and peoples for a peaceful coexistence of all. Reconciliation is possible only when there is a will to admit the truth of history and be accountable to the demands of justice. But are the majority and their government ready for it? 12. Among those who were very happy the war ended was the international community, especially those over twenty countries which gave finance and weapons to crush the LTTE. They were hoping for a new beginning, but the victorious in their euphoria became blind and proceeded in the opposite direction, namely, to bulldoze Tamil war-cemeteries, establish a heavier military authority in the North and asser their ownership as sinhala buddhists at the expense of a conquered and victimized people. 13. For the many thousands of victims still bleeding but hoping for some relief, the actions of the victorious government and its forces were very diasappointing and hurtful, to say the least. They voted with enthusiasm for a Tamil provincial government, and that too has been rendered powerless. 14.While denying to the still surviving Tamils their right to mourn and remember their own sons and daughters mercilessly killed, the Governor is forcing Tamil children to converge to Mullaitivu to salute their own dead as war-heroes. g) Is there a Hope for a better future? 15. As a believing Christian, I will never give up hope in the face of darkness. 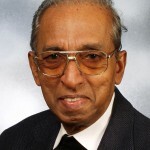 It is true that the message of the majority and its government to the Tamils is clear – that they won not merely over the LTTE but over the Tamils as a whole. And there is very little sympathy for the victims but only an arrogant escalation of eradicating further the roots of Tamil nationalism to make way for a single Sinhala Buddhist country according to Mahinda Chinthanaya! The government celebrations continue as victory over Tamils and their terrorists, and of the establishment of the Sinhala Buddhist nation as the one exclusive Sri Lankan nation. Still we have ask – where lies the Hope for a better future? 16. Anyone from the government or the majority community who expressed critical views of the government or solidarity with the Tamil community is in danger. Anyone who came out strongly in demanding justice and human rights for the still surviving Tamils was accused of betraying the interests of the majority Sinhalese. As far as the Tamils are concerned, we can identify the enlightened as well as the innocent among the majority Sinhalese and Buddhists. We are in solidarity with the progressive voices in the south – politicians, journalists and religious or social leaders who are bravely doing their service to keep the path of democracy, of freedom and human rights. We salute them and wish that their numbers grow. 17. In conclusion on a note of hope, I will make a sincere appeal to the leaders of all the four religions in Sri Lanka. During these last 6 decades after independence, the religions by their silence and passivity and self-centredness contributed very little. When the first crack in ethnic relations broke out with the Sinhala-Only Bill of S.W.R.D. 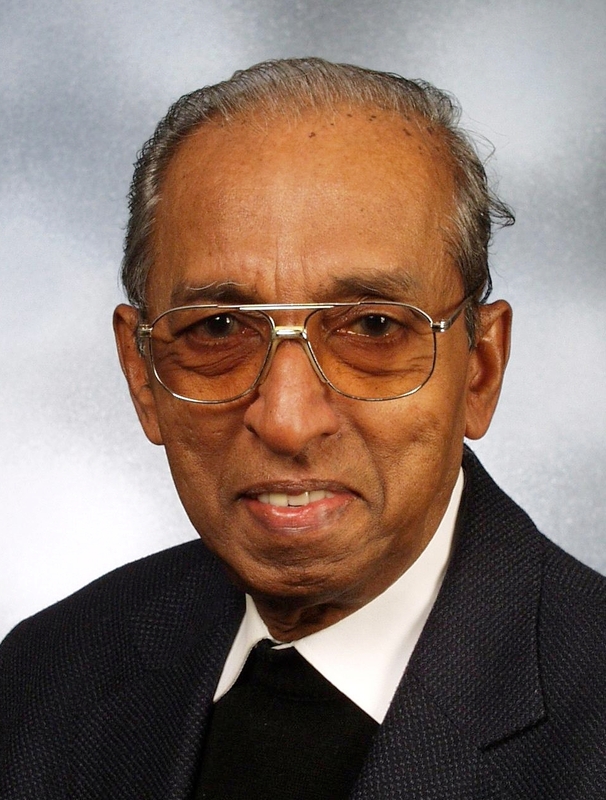 Bandaranaike in 1956, only one courageous leader the Anglican Archdeacon Harold de Soysa condemed it. Religions have done some humanitarian services, but failed to call a spade, a spade. Very often religions are quick to condemn evil but nothing is done to arrest the root causes of the evil. When state-terrorism was raging in the Tamil areas, when state-terrorism and counter-Tamil-terrorism became a piral and war, religions were almost by-standers. At least now when the war is over, stand up for truth, justice, good-governance, democracy and true reconciliation and save the country from its national suicide.